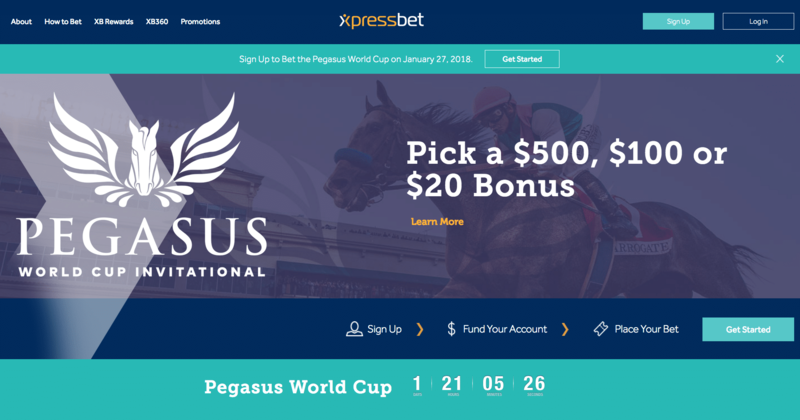 Xpressbet is a licensed horse racing site that offers thoroughbred, harness and quarter horse betting across more than 300 tracks around the world. 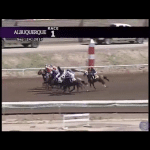 This is one of the more comprehensive horse betting sites open to US customers with international racing coverage, live streaming video and numerous wagering tools. 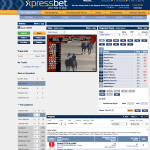 Xpressbet is a licensed and legal horse racing betting site headquartered in the USA. 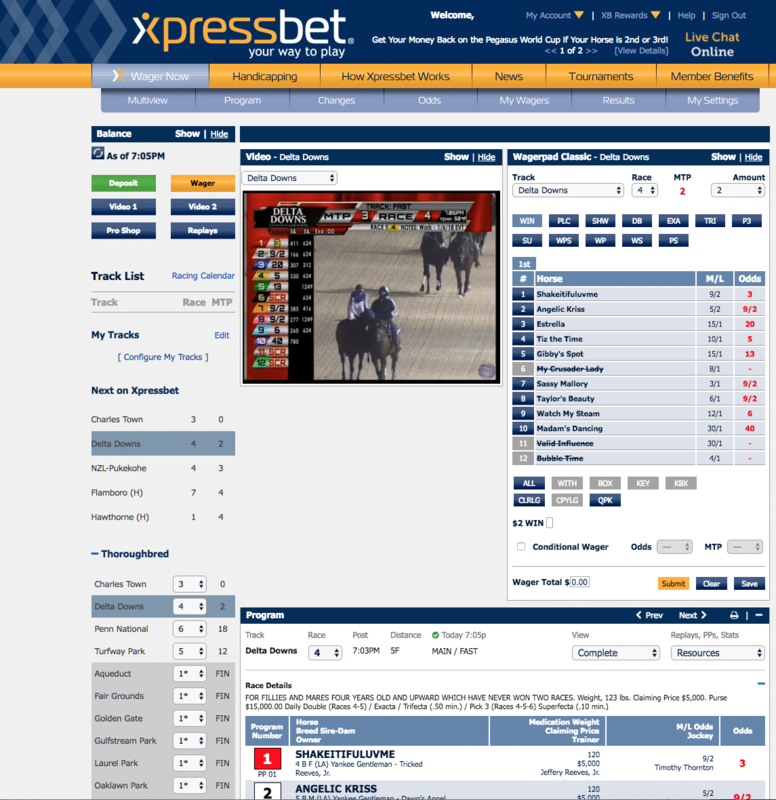 Customers can visit Xpressbet to bet on thoroughbred, harness and quarter hose races online via desktop, mobile app and phone. 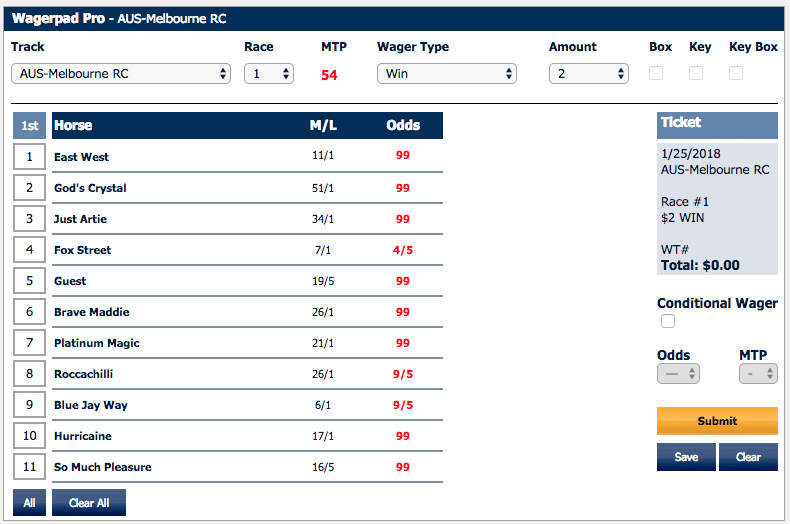 With more than 300 tracks on offer and a full menu of betting options, Xpressbet is worth a look. Customers can bet online at the Xpressbet website, through the dedicated mobile app or by phone and then watch in real time as the horses take off down the track live on your screen. Xpressbet accepts a variety of deposit methods and winnings may be withdrawn via bank transfer, PayPal or paper check in the mail. As far as safety and security are concerned, there are no issues there. 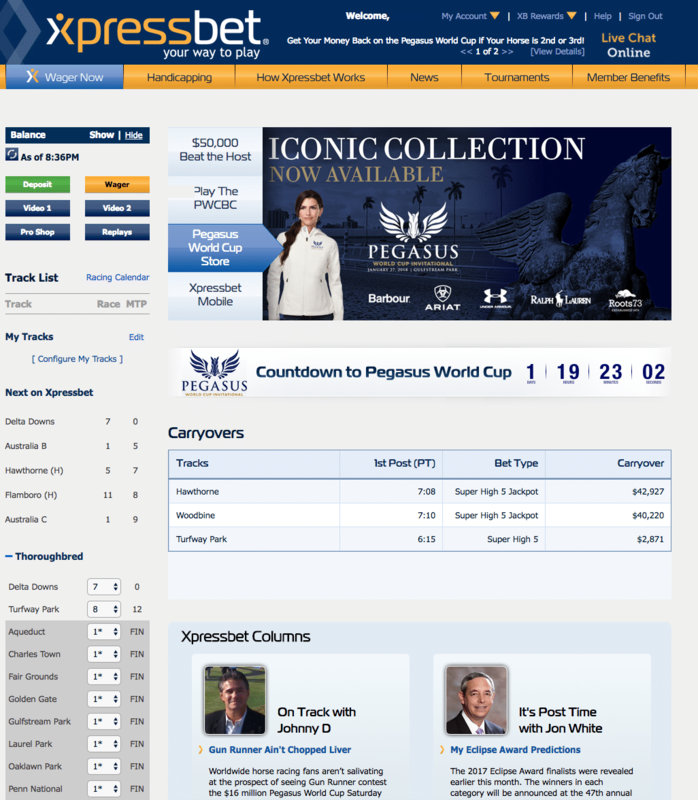 Xpressbet is operated by the US-based Stronach group, which is the largest horse racing company in the United States. In addition to its media and technology holdings, the Stronach Group operates a number of well-known racetracks including Santa Anita Park, Gulfstream Park, Pimlico, Golden Gate Fields and Portland Meadows among others. There are also no concerns regarding the ability of Xpressbet to stay in business or pay winning wagers. 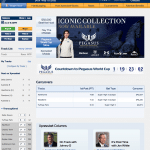 Xpressbet is backed by plenty of funding capital and operates in a regulated environment on US soil. Additionally, Xpressbet has been in operation since 2002. All new customers to Xpressbet may choose between one of three different deposit bonuses, each catering to a different type of customer. $500 Bonus: Use promo code XB500 and you’ll earn $10 in bonus money for every $100 you bet. You can earn up to $500 in total using this promo code. $100 Bonus: Use promo code XB100 to earn a $100 bonus if you wager $500 within 90 days of signing up. $20 Bonus: Use promo code XB20 to earn a $20 bonus when you wager $20 within 30 days of signing up. When choosing your bonus, you’ll want to be realistic when assessing how much you really wager on average. The $500 bonus is undoubtedly the most tempting, but you would have to wager a total of $5,000 to clear the entire bonus amount. The biggest Xpressbet bonus is best left for serious, long term bettors. The $100 bonus is significantly easier to clear as it requires just $500 in wagering activity. And if you’re not at all sure how much you’ll be betting, the $20 bonus is an easy choice with just $20 worth of bets required to claim it. All bonuses are credited to your account in $10 increments as wagering credit. It is important to note that these are not cash bonuses. Bonus funds cannot be withdrawn as cash; they may only be used on Xpressbet to bet on horses. In addition to the welcome bonus, Xpressbet cycles through a variety of other promotions open to new and established customers alike. These other promotions are always changing, but generally you can expect to see money-back guarantees, handicapping contests and the occasional trip giveaway. XB Rewards is the name of Xpressbet’s loyalty program that provides a sliding scale of benefits based on your wagering activity. Every $1 you wager with Xpressbet gets you to XB Rewards Points. You can then redeem your points for all sorts of extras such as wagering credits, handicapping tools, track discounts, gift certificates at Stronach-operated tracks, iPads and more. Additionally, the act of earning XB Rewards Points advances you through a four-level VIP club. Each level offers more benefits such as free FedEx withdrawals, VIP customer service and increasingly faster rates of earning even more XB Rewards Points. Xpressbet offers a wide range of horse racing betting options thanks to its coverage of more than 300 tracks located around the world. Your options for types of horse racing include thoroughbreds, harness races and quarter horse races. Within each type of racing are a multitude of tracks to choose from with all manner of bets on offer. 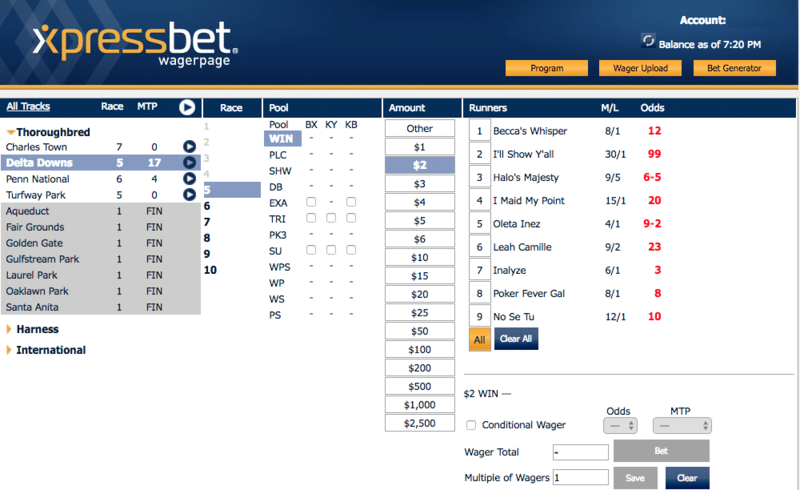 Xpressbet was also the first US-legal horse racing site to accept parlay wagers. 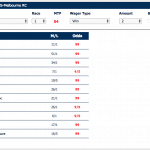 In mid-2018, Xpressbet announced the introduction of parlays involving anywhere from two to six races. With parlays, you can make picks across multiple horse races and have the winnings from each race automatically roll over to your picks on the next race to compound your payouts across every leg on the parlay. 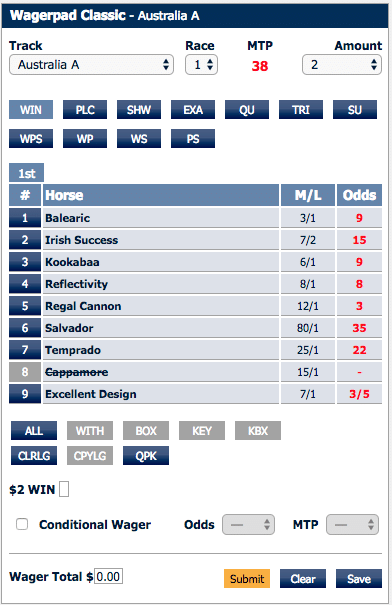 The Xpressbet betting interface itself takes some getting used to because it displays a ton of information. If you have a little trouble orienting yourself at first, that is to be expected. Xpressbet tends to throw a lot of information at handicappers right off the bat. This is a good thing, but do plan on spending a little time familiarizing yourself with the layout. You can start by looking at the list of tracks on the left side of the screen after logging in. It is here where you’ll find a list of races that are starting soon so you can get straight to the action. 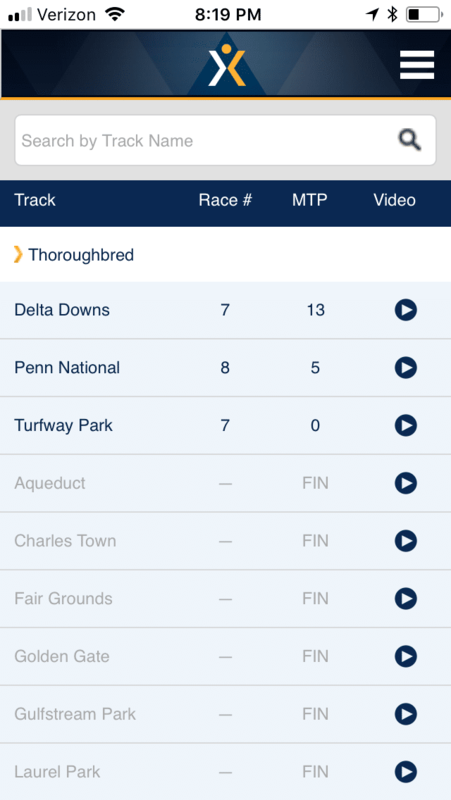 Below that, you can also view tracks by type of race (thoroughbred, harness, etc.) or expand the international list to see races taking place outside the USA. Each section of races is sorted by minutes to post time so that the races that are starting soonest are displayed at the top of the list. 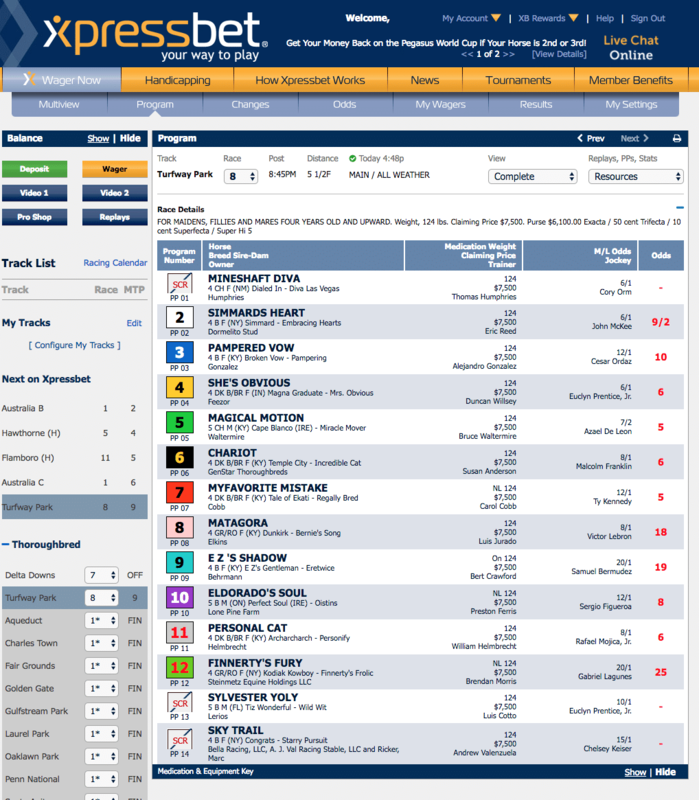 From here, you can select any track to visit a screen showing all races at that track along with programs, current betting odds, streaming video, past results and a condensed wagering pad. You can access the full-sized wagering pad by clicking on the yellow “wager” button on the left side of the screen whenever you’re viewing a specific track. This will launch the betting pad in a new window and from there, you can build and place your wagers. 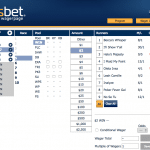 Xpressbet offers three different wagering pads that you can use to place your bets. All of them allow you to place all manner of bets, but each one is organized a bit differently to cater to different needs. You can toggle between different wagering pads by visiting the “my settings” tab at the top of the screen. Whenever you click the yellow “wager” button inside a track, it will bring up the betting pad format that you chose in your settings area. There are three different pads to choose from: Wagerpad Classic, Wagerpad Pro and Wagerpage. Wagerpad Classic is the best for new and casual users. It’s the most straightforward way to place your bets at Xpressbet and shows live racing video next to it when you’re inside the “multiview” tab. Wagerpad Pro is one step up in complexity, but is more convenient in building tickets. With Wagerpad Pro, you can custom tickets without having to constant switch between finish positions and race legs. This makes Wagerpad Pro the most convenient for creating exotic wagers. If you play around with Wagerpad Classic and then Wagerpad Pro for a bit, you’ll see what I mean. Wagerpage provides the most information at a glance. 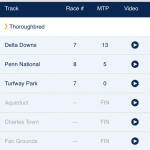 Using this option allows you to place bets, view the full race card, select from all tracks and build wagers in a step-by-step process similar to Wagerpad Classic. All three wagering pads are useful, but some will be more useful depending on your style of betting. My advice is to try all three out for a bit to find the one that best suits your style. Xpressbet mobile is available on Android and iOS devices alike and provide almost the entire full set of features found at the desktop website. 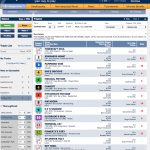 This includes all betting options, access to all tracks, live racing streams, video replays, past results and upcoming race information such as runners, track conditions and more. 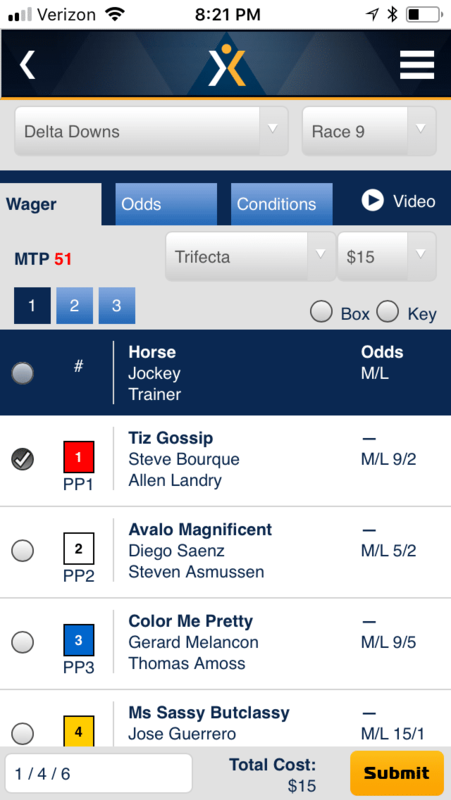 The only thing missing from the mobile app are the three different wagering pads. Xpressbet mobile uses a single betting interface designed to make the most of the limited screen real estate available on mobile devices. 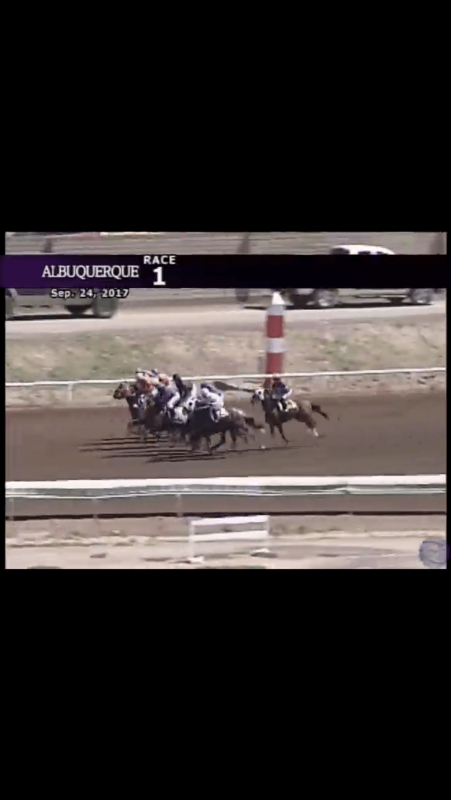 There isn’t a ton of room to work with, but Xpressbet mobile gets the job done. 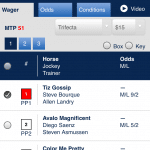 After you open the app and select a track, you can place bets on a single screen that lists all horses and their odds. You can change bet types by selecting the menu at the top of the screen to open a dropdown list that shows all wagers. Building exotic wagers can be a bit laborious as you have to switch back and forth between legs, but I honestly can’t think of an easier way to manage exotics on a mobile device. 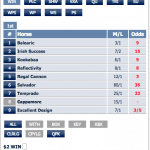 The Xpressbet app is designed with straightforward graphics and simple organization. I actually found it easier to navigate than the full website. It’s not the prettiest thing in the world as far as graphics go, but the simple design makes it easy to find what you need. Once you have an Xpressbet account, you can refer friends to earn $50 in wagering credits for every referral you make. You can find the referral link by logging into your account and then scrolling all the way down to the bottom of the page and clicking the “XB Friends” link. After you enroll in the referral program, you’ll get a unique XB Friends number. You can then contact your friends and give them your referral number. If they sign up for an account and deposit at least $100 within 30 days of signing up, Xpressbet will drop $50 in wagering credits into your account. You may also use the built-in referral system to have Xpressbet send pre-written e-mails to your friends. The $50 bonus is deposited as wagering credits only. This means you will not be able to withdraw the money immediately. These are just credits that you can use to bet on races. Any money you win by betting your credits is yours to withdraw as you wish. Xpressbet gets very high marks in customer support. I had an issue with my Xpressbet account while writing this review and decided now would be a good opportunity to give their customer support a live test. I called the helpline published on the Xpressbet website and was on the phone with a real person within seconds. The first person gave me the help I needed, but a failure on my part led to me calling back one more time for more assistance. The next person answered my call after about two minutes of hold time and had me all ready to go after speaking. Both support people were clearly native English speakers and both were polite and pleasant even though my phone call came into them at 7 PM their time. This was probably my best experience ever when dealing with a betting company’s customer support. Xpressbet accepts customers from Canada and the USA minus the following state/territory restrictions.